The ED200 heat detector can be configured in the following modes: A1R mode (fixed threshold at 58°C with thermovelocimetric detection); B mode (fixed threshold at 72°C); A2S mode (fixed threshold at 58°C); BR mode (fixed threshold at 72°C with thermovelocimetric detection). 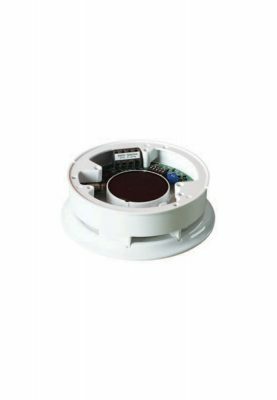 As a result of high flexibility, this detector is useful in places where the environment is dusty or smoky and the risk of false alarms is high. 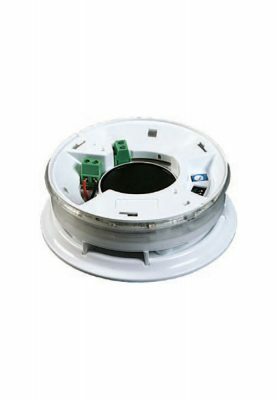 Detector base accommodates IRIS and ENEA series detectors, equipped with short-circuit plate which ensures continuity in the event of removal of the detector from the line. 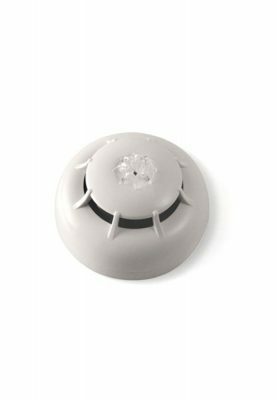 Relay base with a single relay which activates when the detector senses an alarm. 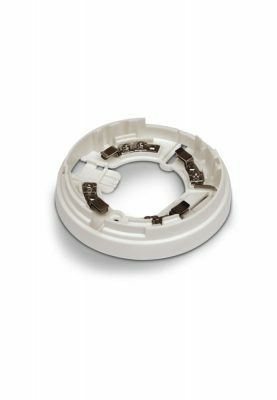 The relay base allows you to interface the detector with intrusion control panels in domestic applications.